Check out the latest edition of our quarterly newsletter! Six River Farm is an organic vegetable farm located along the shores of Merrymeeting Bay in Bowdoinham. It is owned and operated by Gabrielle Gosselin and Nate Drummond (as well as junior farmers Alice (4) and Quincy (1)). We farm fields located off Center’s Point Rd and Brown’s Point Rd. The farm produces a wide range of vegetables for sale year round. 100% of our produce is sold locally, primarily at farmers’ markets in Brunswick and to grocery stores and restaurants in the greater Brunswick-Freeport area. We moved to Bowdoinham and started Six River Farm in 2007 after seeing an advertisement from George Christopher listing farmland and barn space for rent off the Brown’s Point Road. The original parcel of farmland we leased was part of the Kelly Farm, owned by the Kelly family and previously farmed by Ransom Kelly, Harry Prout and Brian Dennison. 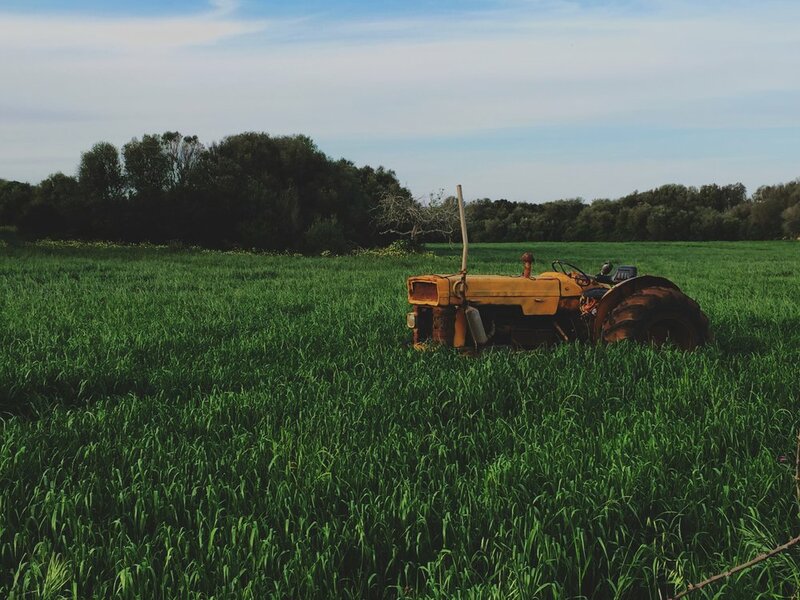 In 2017 the Kelly family decided to sell the Kelly Farm property and we joined with five other local farmers who were already leasing different sections of the property to form Browne’s Point Farmland, LLC in order to collectively purchase the property. The property is protected by as easement which restricts future development and preserves the open farmland for agricultural use. Over the years we have also purchased a house and farmland on Center’s Point Rd and leased several fields from neighbors on Center’s Point Rd, Lee and Shirley Tracy and Frank and Jane Connors. All of our fields are situated along the shore of Merrymeeting Bay and are comprised of deep alluvial silt loam soils. These soils and our mild Maine summers and falls offer prime growing conditions for a range of vegetable crops, particularly leafy greens, broccoli, celery and carrots. We utilize a range of hoophouse structures on the farm to provide protected growing environments for fragile crops such as tomatoes and strawberries as well as winter growing space for cold-hardy greens throughout the winter. All of our production is certified organic and we believe that the location of our fields along the shore Merrymeeting Bay requires a strong commitment to environmental stewardship in order to protect the amazing natural ecosystems that surround us, as well as the health of our family and employees. As our farm has grown over the years, so have a number of wonderful people who help us each year. Currently we employ 8 employees year-round and add another 12-15 seasonal employees spring through fall. All of our employees live locally, with many of them living in Bowdoinham. It is the exceptional hard work and dedication of these employees that allow us to grow and distribute 20 acres of vegetables to our local community. We also work closely with both the Merrymeeting Gleaners and Midcoast Hunger Prevention Program to provide excess produce to those in need in our community. The Merrymeeting Gleaners come out to our farm on a weekly basis throughout the growing season to glean extra produce from our fields and distribute it to a range of organizations in our area. In addition, this year we will be growing a full bed of carrots for donation to the MHPP. If you are interested in volunteering for either project, please contact us for more information. We are proud members of BCDI and believe in it’s mission to provide support and financing for the business community in Bowdoinham. 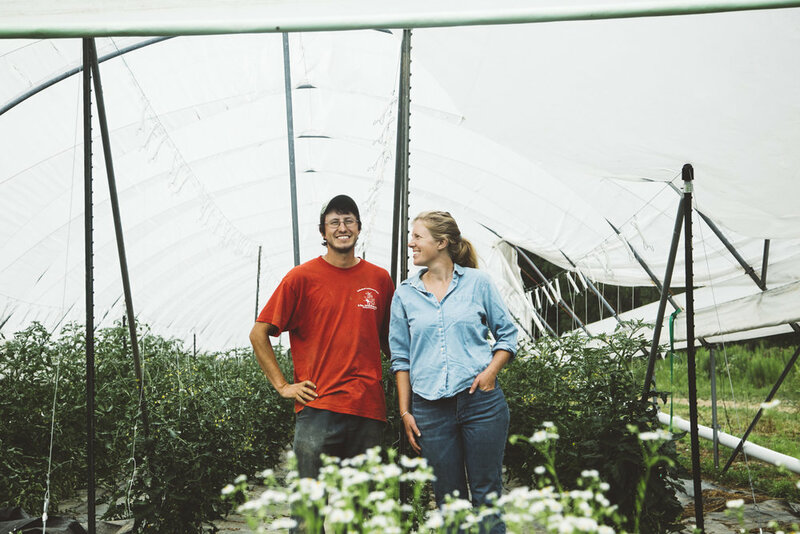 Bowdoinham is an amazing community in which to live and farm and we are very grateful for the widespread support we have received through the years from other farmers and neighbors. To us BCDI represents the best of Bowdoinham, a town wide effort to facilitate local business and community development in ways that align with our values as a community. We are pleased to announce an upcoming BCDI event, co-hosted with Land For Good, Community Conversation: Focus On Farmers. This event, scheduled for March 10th at Merrymeeting Hall, is designed to solicit farmer feedback on the next phase of the Farmland Inventory Project and ideas for how BCDI can further support the farming community. Lunch, snacks, and drinks will be provided along with information about BCDI’s loan program and Merrymeeting Food Council programming. Click here for more information and to grab your free ticket! ANOTHER BCDI LOAN IS SUCCESSFULLY PAID OFF! Congratulations to Bethany and Eric of Harvest Tide Organics who have paid off the full amount of their $8000 "Neighbors Investing in Neighbors" BCDI loan!!! This loan, which was funded by investors who are also our BCDI community members (you have to be a BCDI member to participate! ), allowed Harvest Tide Organics to purchase a 72’ x 30’ Rimol greenhouse to support their farming operations. To those who invested in this loan, keep an eye out in the mail for your return of investment (+2%!!) - just in time to pay off those holiday bills! Are you a Bowdoinham-based business in need of a loan? Do you love the idea of investing in the small businesses that make up our special community? Want to just learn more about our loan/investment program?! Check out the page on our investment program! Shout outs from our funders make us very proud! Thank you, NEGEF! Congratulations to grantee Bowdoinham Community Development Initiative - BCDI, a revolving community loan fund working at the intersection of #NewEconomy and #SustainableAgricutlure and the #Arts for their local community. We can't wait to see what 2019 has in store for them! Emerald Builders is a building company based in Bowdoinham, and working across the Mid Coast region. We craft high-quality beautiful homes that are super energy efficient and made with environmentally conscious products and processes. This year Emerald Builders became a member of 1% for the Planet, which commits us to giving 1% of our gross annual revenue to environmental non-profits. To kick off our charitable giving we wanted to give back to our community, and supporting the Bowdoinham Community Development Initiative felt like the perfect way to do that. We are a triple bottom line company, which means we focus on balancing the three P’s -- people, planet, and profits. We see the health of our society, the health of our ecosystems, and the financial health of our company as interlinked and dependant on each other. This starts with our commitment to building practices that minimize waste, maximize energy efficiency, reduce carbon pollution, and create beautiful structures that will last for generations. We also do everything we can to make our company a place where employees can succeed at the highest level and make carpentry a true career. Some of the steps we have taken are supporting continuing education, and assisting with access to quality healthcare. Donating to non-profits, like BCDI, as a member of 1% for the Planet helps us to have an impact beyond our own building practices. As we work to create a better built environment we want to help fuel the change-makers who are working to make our society and environment better for all of us. 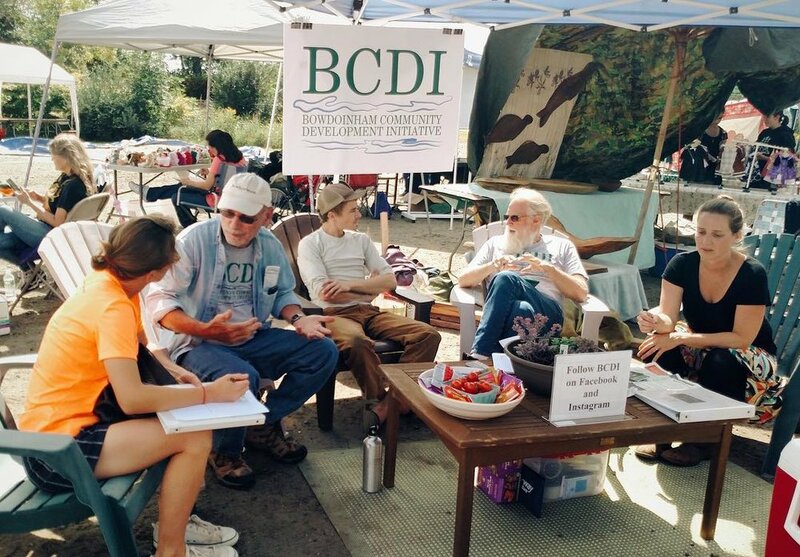 BCDI does so much for small businesses and the Bowdoinham community at large with things like helping to preserve land for sustainable use, bringing the community together for important conversations, connecting citizens, the private sector and local government, and giving farmers and other small businesses a jumpstart to help them grow and stay here in our town. Our passion first and foremost is home building. Current industry standard building practices needlessly harm the environment and occupant health, and waste precious resources and their owners’ money. Rooted in Maine’s long history of craft, we apply traditional principles of quality and detail to modern high performance buildings. Along with work for clients across the Mid Coast, we are very excited to be giving the old Bowdoinham post office a new life as the home of The Alcove, a coworking space that also houses our headquarters. When our renovation is complete we look forward to inviting you all to come see our work up close. At the public meeting on September 20th, we heard from several people that they did not want to spend the money to redevelop the property for recreation. Instead they thought the property should be sold so the Town could offset the cost of the new pubic works faciltiy and bring in additional money from property taxes. The Town started this Master Site Plan process based on the Town's Waterfront Plan that was adopted by the Town in 2005, which called for public works to be moved from the waterfront property and for the property to be redeveloped as a recreation area. This direction was re-affirmed through the Comprehensive Planning process (2011-2014), which called for the Waterfront Plan to be implemented. What do you think, should the Town implement the Waterfront Plan and redeveloped the property for recreation OR sell the property? Take the Waterfront Re-development Survey #2!! What’s the next step? There will be a second meeting on Wednesday, November 7 from 6pm - 8pm at the Bowdoinham Community School, 23 Cemetery Road. Check out the meeting agenda and be sure to attend - your opinion is valuable! 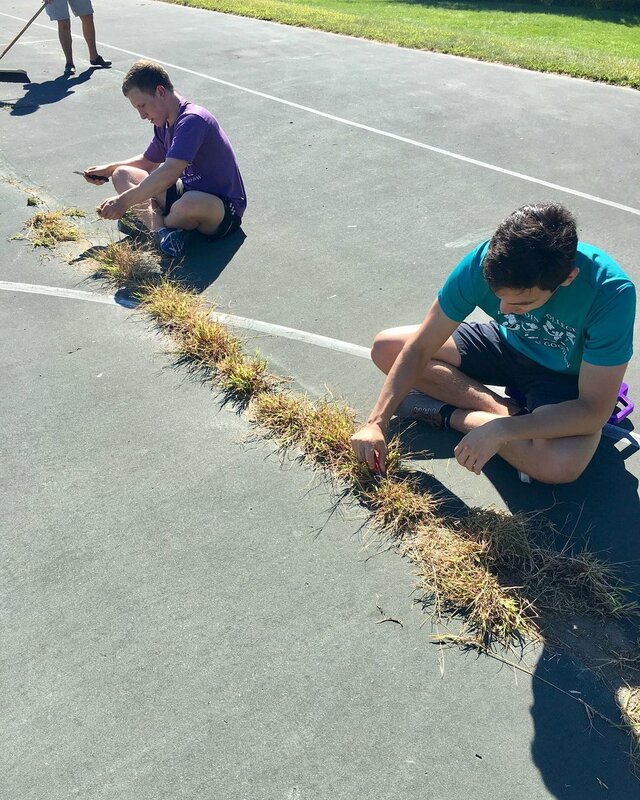 THANK YOU to the amazing volunteers from Bowdoin College’s Joseph McKeen Center for the Common Good who came out to the Bowdoinham Community School for this year’s Common Good Day!! 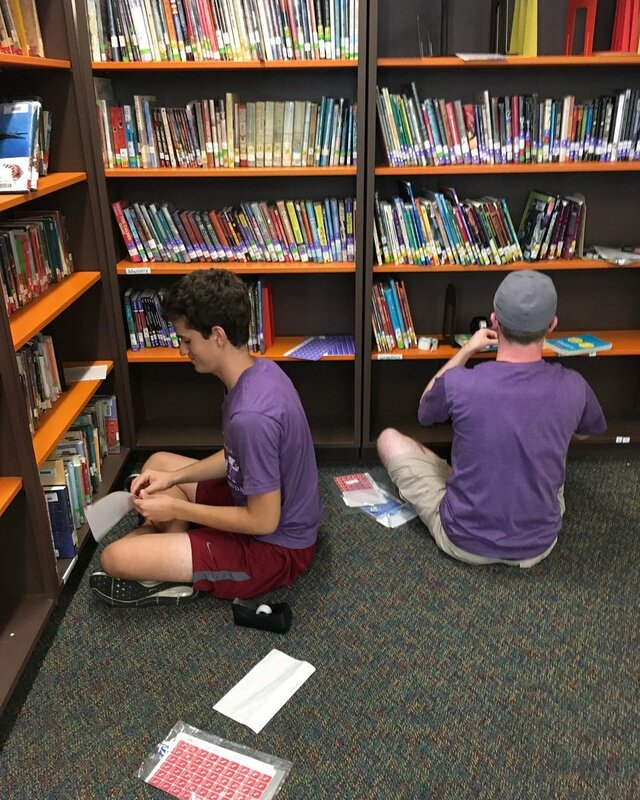 Volunteers worked in the library cataloging and organizing books, and outside cleaning and beautifying around the school grounds. BCDI regularly participates in the great day, which connects volunteers with local community projects. A big “THANKS” to all those that came by to “continue the conversation” with us during #celebratebowdoinham !! We appreciate your time, opinions, contributions, and support! Here's a great article from The Times Record highlighting some of the action items that have and are occurring as a result of BCDI's Community Conversations last fall. All of you motivated Bowdoinham citizens turning these ideas into reality are commendable!! Welcome to the first quarterly membership message to friends and supporters of the Bowdoinham Community Development Initiative (BCDI). We hope this message finds you well, and we welcome this opportunity to share with you an update on the activities of BCDI. Please click HERE to read about our recent ventures and all those to come! ANOTHER COMMUNITY CONVERSATION ACTION ITEM IS READY FOR ACTION! The Community Development Advisory Committee needs your help! A number of people in the community have asked that the town look at the pros and cons of installing some kind of waste water treatment system for the village area. This issue arose during the Community Conversations sponsored by BCDI last October (Item 15 on the list of 16 Action Items) and has been mentioned in connection with support of business activity in town. The CDAC has started some initial research. We are looking at the individual septic solutions businesses and residences currently have, the types of businesses that might need larger treatment solutions than can be afforded by the lot sizes in the village, and the expense that a village system would entail. Most important—is there really a need for a full wastewater system for the village? Please join us for a concert and dinner fundraiser at the Philip Mailly Waterfront Park in Bowdoinham! Concert begins at 6 pm and dinner will be delicious tacos and sides prepared with fresh local farm ingredients. The band is Eagles Way, a local four-piece band sharing their love of classic rock and country. Bring your friends, family, chairs or a blanket and enjoy the show! (Concert is free).